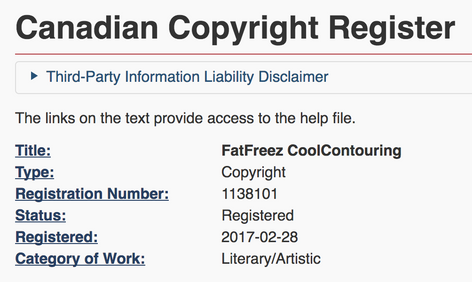 CoolContouring® is a registered and copyrighted trade name reserved for the BC Academy of Medical Aesthetics & Skin Care Inc.
CoolContouring® is a nonsurgical fat reduction treatment that uses freezing technology to eliminate stubborn areas of fat. 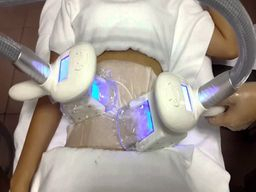 Utilizing the process technically known as apoptosis or programmed cell death, CoolContouring® has the ability to target smaller areas of fat such as the abdomen, inner and outer thighs, knees, upper arms, double chin, love handles and more. By freezing areas of fat beneath the skin known as hypodermis, apoptosis is induced and fat cells, once destroyed, are eliminated from the body through the lymphatic system. CoolContouring® requires no anaesthesia, no incisions, no injections and no downtime, no needles, no special diets, and no supplements needed during the process. Trainees will review anatomy and physiology of skin with emphasis of adipose tissue, fat metabolism and break down, lymphatic system, apoptosis, patient selection, contraindications, alternative fat reduction techniques, how to achieve the best results, patient before and after care, CoolContouring® / FatFreeze technique and how to minimize possible side effects. CoolContouring® results look natural and can be seen as early as three weeks following treatment, with the most dramatic results after one to three months. CoolContouring® is not technique dependent and requires no staff time once the patient is set up and the treatment is underway. It is designed for use in a medical office specializing in aesthetic procedures. The CoolContouring® procedure is the only, non-invasive procedure that uses advanced cooling technology to gently and effectively target and eliminate fat in specific areas of a patient’s body through a proprietary technology called FatFreeze Body Slimming. Tuition fee: $950.00 including course material and tax. Certificate: Graduates will receive a certificate from the BC Academy of Medical Spa & Skin Care and a one-year membership from the Canadian Association of Medical Spas & Aesthetic Surgeons.